When I was a teenager, I was diagnosed with a particular food intolerance by our naturopathic doctor. I had had chronic eczema on my face for over a year, as did my younger sister on her arms and neck, and so we drove over 10 hours to see this particular doctor who had a unique way of looking at allergies and intolerances. He diagnosed my intolerances as eggs (any part thereof) and grain/dairy combinations. I was told I could have either grain or dairy, but not both within 6 hours (gastric emptying) of the other. So for the next 10 years, I followed his suggestions, with complete healing of my complexion issues and also massive improvements in gastro-intestinal health issues. I was actually unaware of my issues in the digestive department until I actually abstained from those foods and could tell within an hour if prepared foods actually had something I wasn’t allowed to eat in it. Well, eventually I came across the nutritional book, Nourishing Traditions, which teaches the Weston A. Price diet. The WAP diet holds that grains are easier to digest and more nutritious when they are fermented, soaked and/or sprouted (1,2, 5, 6, 7, 8, 9). So it was with much caution that I decided to start dabbling in these alternative preparation methods and testing them on myself in the presence of dairy products. My first success was with sprouted wheat bread. After 10 years, can you even guess how much I just wanted delicious grilled cheese sandwiches?! My second experiment was with fermenting grains. I am happy to say that this also seems to be a great success! This greatly improves my food budget as well, as I can now plan meals with economically bought grains that just need a little preparation. Regardless, I wanted to share with you my routine with fermenting rice. 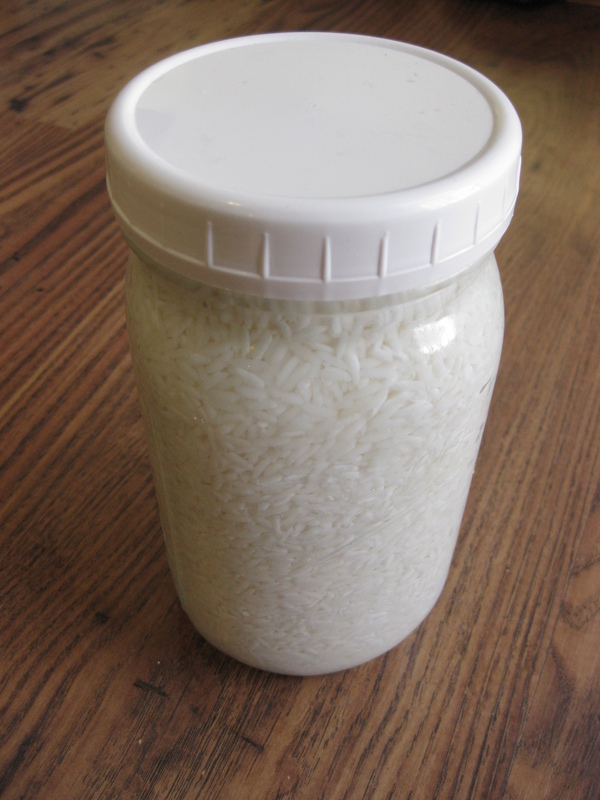 I fill a quart Mason jar with rice up to the shoulder of the container, including about ½ cup from a previous ferment. If you don’t have a previous ferment, use a splash of raw apple cider vinegar, raw kombucha, raw kombucha vinegar from an overactive continuos ferment, or some whey which drains off of your plain yogurt or sour cream. I cover the rice with filtered water. I cap the jar and shake it around a bit until I can tell that some of the foggy water of the previous fermentation has made its way into the new water added. Then I open the lid again and add more water to rinse any grains off of the walls above the water line, and to bring the water level to about where the cap threads start. I place the jar on a dishcloth, in case it overflows due to carbon dioxide production, and let it sit on my counter for a couple of days, or even weeks, as long as you pour off and replace the water above the line of the grains daily. 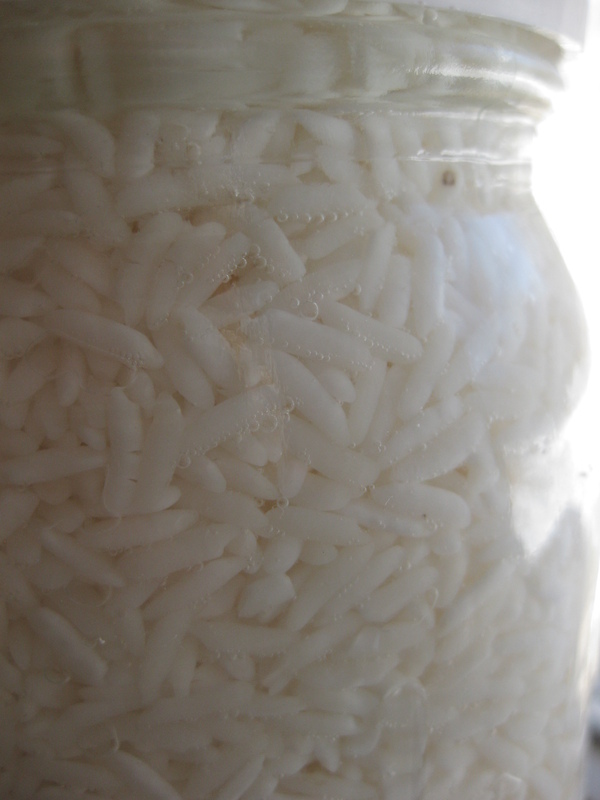 As long as I see the little bubbles around the grains in the jar, I know that the rice is fermented enough for me. 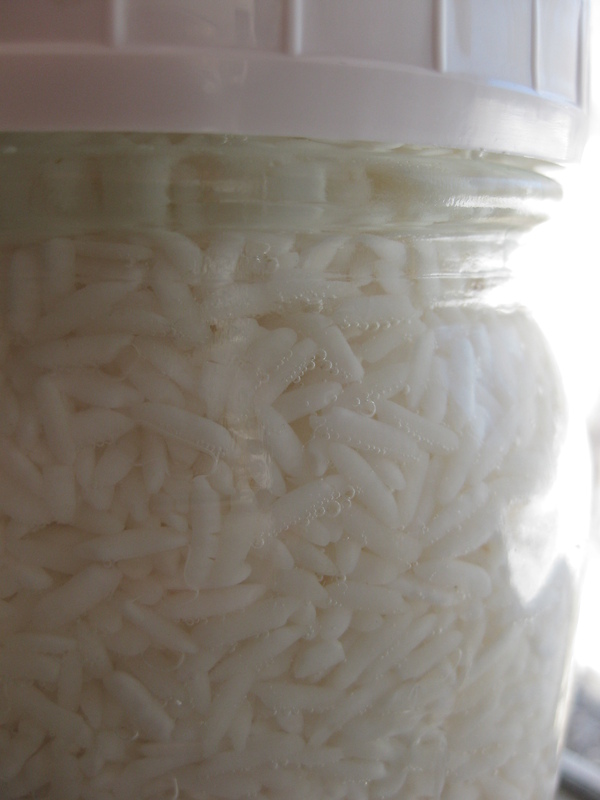 When I am ready to make my rice, I keep track of how much rice I take from the jar, which is easy since Mason jars have measurements along the side of them. I spoon the rice into a mesh colander and rinse it thoroughly, before putting it in an adequate sized saucepan. If I want sticky rice, I add an equal amount of filtered water. If I want something more al dente and very separated, I will put my rice in a steamer basket, and only steam it. Usually, I add a little less than an equal amount of water to rice. So if I am cooking 2 cups of fermented, uncooked rice, I add about 1 ¾ C. water, or a combination of water and coconut cream or broth. I also add salt. I throw the ingredients all in the pan at the temperature they happen to be, and turn the stove up until it boils, I put a lid on it and reduce the heat to simmer. I don’t think it even takes 10 minutes, but the length of cooking also has to do with personal taste and the dish you are preparing it for. Directions: Fill mason jar with rice and starter up to the 3 Cup measurement line. Fill to top of grain with filtered water. Cap and vigorously shake about 6 times. Place upright, uncap, rinse with additional water and stray grains that are now above the water line or on the cap into the jar. Fill with water up to the bottom of the threads. Cap jar again. Place on dishtowel, on counter until small gas bubbles are visible around grains (about 2-4 days) while changing out the water above the grain line daily. Note measurement level of fermented grain. Scoop grain out into a mesh sieve and rinse the rice thoroughly, while leaving at least ¼ Cup of unrinsed fermented grain for a starter for your next batch in the jar. Note the amount of rice you removed as you will want slightly less than an equal amount for cooking. After rinsing, move rice to a non-reactive saucepan and add salt & water. Bring to boil, reduce heat to simmer & cover until cooked according to your preference. Categories: Education, fermented, food, gluten-free, Nutrition, WAP | Tags: allergies., allergy, clean, clean food, diabetes, diabetic friendly, diet, digestibility, diy, easy, ferment, fermentation, fermented, food, frugal, grain, grains., Health, healthy, homesteading, intolerance, kombucha, kombucha vinegar, lacto, lacto fermentation, learning, natural parenting, naturopathic, Nourishing Traditions, photo, photography, phytates, protein, recipe, rice, soaked, sprouted, United States, WAP, Weston A. Price, whey | Permalink. I love the windows and doors to other recipes available to me in Spanish. 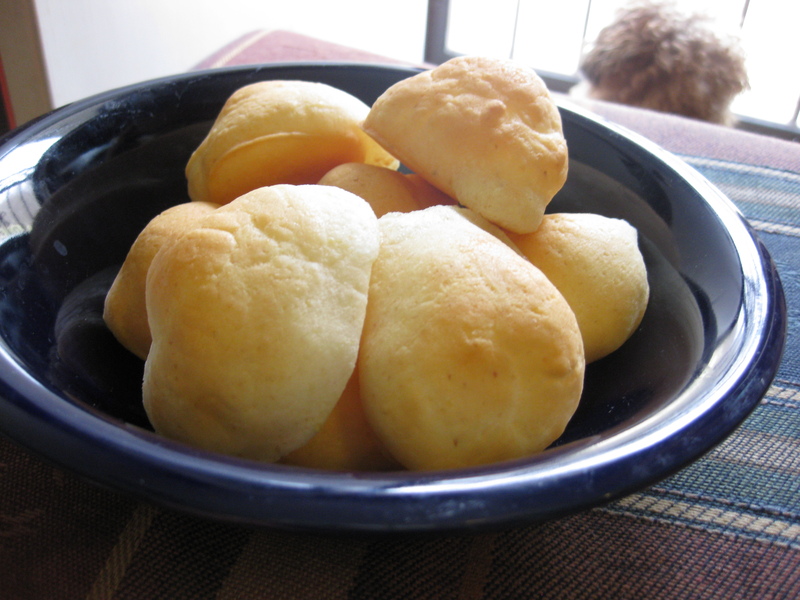 Last year I stumbled upon this gem here while on laylita.com, a blog on Ecuadorian recipes. Although I had studied abroad in Ecuador, I never had the pleasure of eating this bread until I made it. 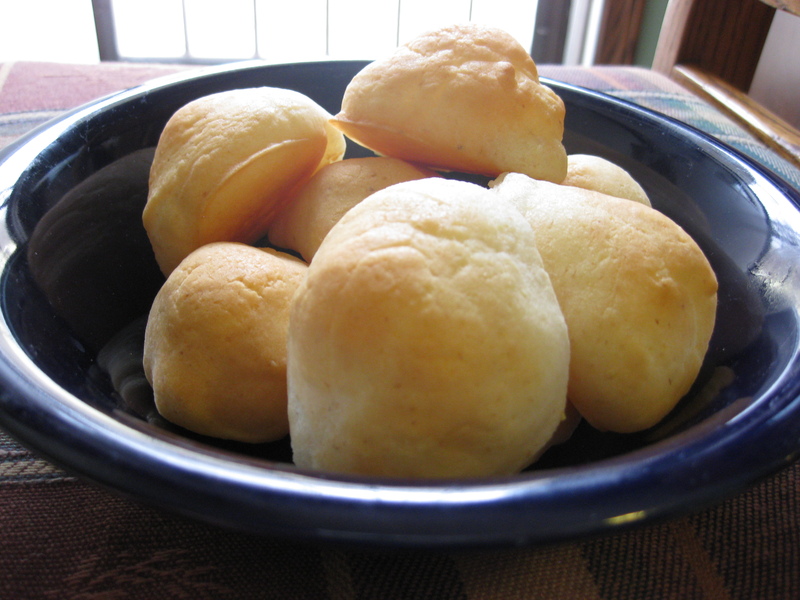 It is originally called Pan de Yuca, which means Yucca Bread. We, here in the US, call yucca by the name of tapioca. I particularly LOVE this bread for Oh so many reasons! So I thought I would translate the recipe for you with healthier (the original is healthy, but some ingredients can be improved) ingredient suggestions! This is great for gluten-free people too, as long as you shred your own cheese. 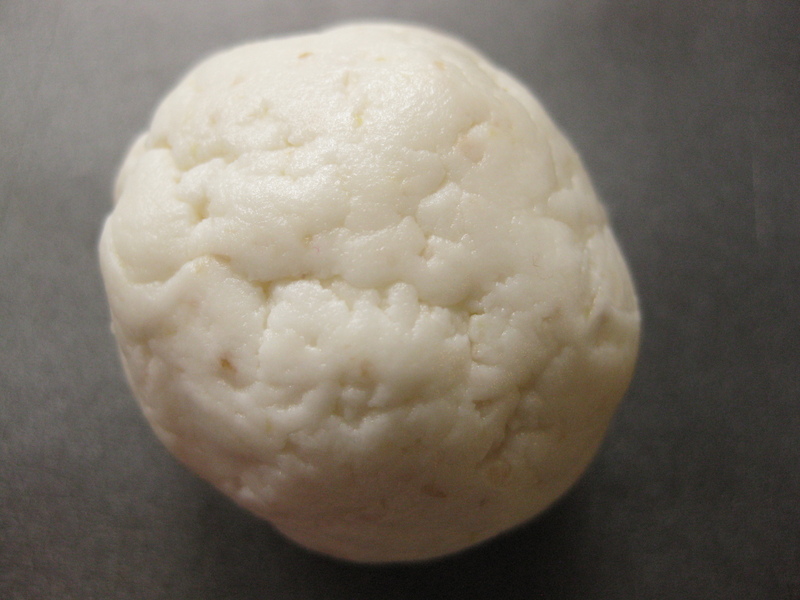 If necessary, 1-2 Tablespoons of filtered water, if the dough is too dry to work into balls. Preheat oven to 500 F (that is not a typo!). In a food processor, combine flour, cheese, baking powder and salt & mix well. Add the butter, and eggs then mix until the dough forms small balls… or until it looks like it has mixed really well. This is where you would add the extra water if the dough seemed too dry. 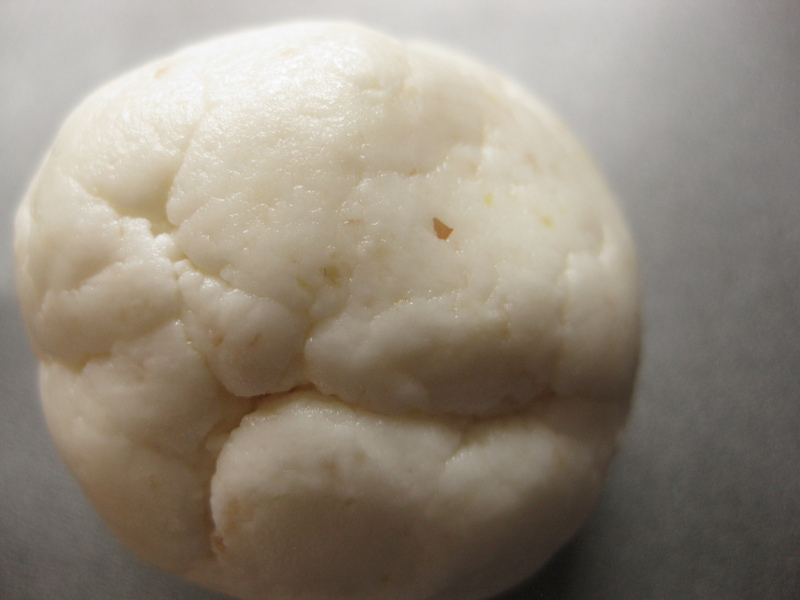 Remove the dough from the processor and make golf-ball sized dough balls. Place on a cookie sheet or jelly roll pan. I usually only cook half of the recipe and save the rest in the fridge until another day. You can do this mixing all by hand in a bowl… just use your hands and all of the ingredients at once. Bake for about 5-7 minutes at 500 F, then turn to broil setting and brown your rolls for about 3-5 minutes. Then serve while warm, that is, if you don’t eat them all first! These go great with any soup, just as a side, and your kids will love them… to the point you feel like hiding them from the tots. You can also adapte this recipe by substuting half of the mozzarella with sharp cheddar, as a reader posted in the comments, or jalapeno jack, if you want to add some kick! Categories: food, mommy things, Nutrition | Tags: allergies., allergy, baby, baby food, baby-led weaning, bread, butter, cheese, Children, diet, Ecuador, Ecuadorian, egg, fat, food, free, frugal, gluten, gluten-free, grain-free, Health, homesteading, intolerance, natural parenting, Nourishing Traditions, Pan de Yuca, photo, protein, quick-bread, recipe, Spanish, tapioca, toddler, United States, Vitamin D, WAP, Weston A. Price, Yuca, yucca, Yucca Bread | Permalink. It really must be spring, as the ants had returned this week. This time the ante was upped; from small sugar ants to large carpenter ants. Ugh!!! They were everywhere… my kitchen, living room, dining room, climbing on me while I was nursing my daughter. Last year, I tried putting down a chalk border line as my mother in-law had heard that they wouldn’t cross it. Numbers may have dropped but it didn’t STOP them. I can’t get chalk everywhere anyways. So I was checking Facebook early Sunday morning before church and came across a blog entry by the Thrifty Couple regarding ants.. so I combined several of these ideas in a spray bottle and misted the entrances to my house before walking out the door. I am pleased to say that I have not seen any additional intruders since then. Throw these all in a spray bottle, remember to label your bottle, and have fun with the eviction. Bonus, the house smells a lot better too! Categories: Pest Control | Tags: allergies., allergy, ant, ants, baby, biology, carpenter ants, Children, control, directions, diy, frugal, Health, homesteading, insects, natural parenting, pesticide, pests, recipe, spray bottle, sugar ants, sustainability, tip, United States | Permalink. 1) I cut a sweet potato in half today (from last year’s garden) and I am letting the cut cure. Then I will place the cut directly on soil in a pot inside the house. It will go wild with shoots, which I will snap off of the tater and put in a water vase. Within two weeks of that it will have rooted sufficiently and it should be ready to plant… I do this bare rooted.They are pretty temperature sensitive though, so be careful of your timing on planting in the garden. I also like them in containers for trailing foliage. 2) Dear hubby bought me seed potatoes, grade A. So I will have to cut them up and let them cure after rolling them in sulfur, to prevent rotting, for a couple of days. Then they will get planted every 1.5 ft apart in a deeply worked row of the garden that usually gets infringed by shade earlier in the fall, due to the seasonal changing sun position. It won’t bother them though as they will have died off around that time already. I actually prefer grade B potatoes as they are smaller and then you don’t have to cut and cure them, just plant them as they come. 3) I am still running wheelbarrow loads of rabbit manure to the garden and covering the soil with a tarp to warm it up, speed up mulch breakdown and cut down on weeds. 4) Dear hubby also picked up a cold-frame from the side of the road meant for trash pick-up (old windows on frame still) and I will start lettuce and mustard greens asap under it. 5) Looming clean-up remains for the strawberry bed for spring production… I’ve been considering scrapping them for all the work and little produce you get if you try to do them organically here in Ohio… and I want a sweeter variety. Any suggestions? 7) If you haven’t done it already, get a soil testing kit at a greenhouse to see how your proposed garden area needs amended (what you need to add to it). Grab Jerry Baker’s Garden Secrets for do-able natural amendments… though I’m not too convinced on the efficacy of his tonics. Categories: Uncategorized | Tags: cold frame, diy, farm, fertilizer, garden, homesteading, how-to, jerusalem artichoke, lettuce, manure, natural, Ohio, organic, potato, potatoes, prep, repurposed, schedule, soil, strawberries, sunchoke, sustainability, sweet, United States, vegetables, windows | Permalink. It’s about that time of year… to go herping(in the Northern states or high altitudes)!!! Herping is searching for herps (amphibians and reptiles). Anybody interested? A low-lying wetlands park would be perfect. Equipment needed: boots & willingness to get muddy… small nets would really help out too & pan to observe them in. An identification guide would also come in handy. I can’t wait! I could hear the Bufo americanus singing this afternoon. This would be great for homeschoolers needing hands on biology experience… coming soon, morel season! Categories: Education | Tags: amphibians, biology, bufo americanus, butter, Children, cream, diet, fat, food, frogs, herpetology, herping, homeschool, ideas, learning, natural parenting, Nourishing Traditions, raw milk, real milk, reptiles, salamanders, science, United States, WAP, Weston A. Price, wetlands | Permalink. Categories: Uncategorized | Tags: challenge, coffee, culture, English, oregon, photo, photography, poetry, Portland, Portlandia, postaday, United States | Permalink.